Looking for a new dashcam to keep a record of events on the road ahead? With more insurers insisting on the installation of these little road-facing cameras, it makes sense to get hold of the best hardware. The Vantrue N2 Pro features a dual camera system that records the road and the driver – and includes a microphone for audio. With great quality day and night visuals, we think this might just be the best dashcam yet. Read on to find out why, and enter our competition to win a Vantrue N2 Pro for yourself. What Is a Dashcam For? You should already know that a dashcam records what is happening on the road in front of you. So, do you really need one? Isn’t there some other tech that you can employ instead? You might, for example, use an action cam — a Go Pro, or similar — as a dashcam. It probably came with a mount, so you should be able to attach it to your windscreen and start recording. Alternatively, you could use an old smartphone in the same way. 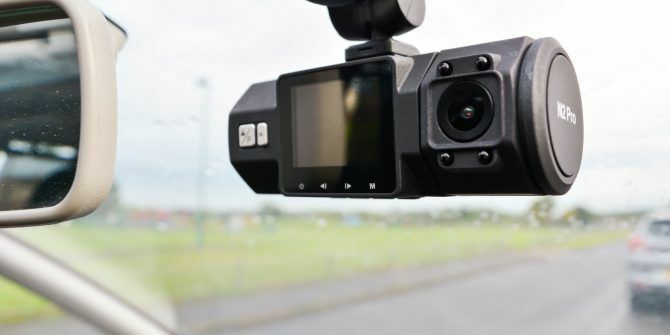 Just as long as the device is reasonably compact and can be attached to your windscreen or dashboard, you could theoretically use it as a dashcam. However, dashcams come with some extras that action cams and smartphones might not offer. Things like a parking mode (where the device starts recording when it spots or senses movement), for example. Or the ability to record in time-lapse. Most dashcams will record in a loop by default, something that an old phone may not do (although an app might). Ultimately, a dashcam is to help keep you safe when driving, and to provide evidence of bad driving in case of an accident. I know a lot of people who talk about getting a dashcam. Strangely, few of them actually own one. We all know how regularly accidents occur on roads. We’ve all had lucky escapes, and seen other drivers behaving in irresponsible ways. With a dashcam installed on your windscreen, you can automatically record these moments. Perhaps you’ll share them with friends, or on YouTube. In traffic accident scenarios, perhaps that footage will prove useful to the emergency services. Or you might just hope to spot a meteorite crashing to earth. Whatever the case, given how affordable dashcams are these days, it seems somewhat short-sighted that so many drivers aren’t using them. However, there could be several reasons for this. I’ve seen a lot of dashcams over the years. Most of them have been absolute disasters. So, what should you demand from a new dashcam? Easy setup — it should be simple to get the dashcam up and running. Stable software — the dashcam shouldn’t randomly shutdown or reset while you’re driving. Reliable battery — they have notoriously short charges! Appropriate storage media — buying a dashcam without storage basically means you’re not using it. Easy to install in your car — the suction cup should be reliable. Light — a lightweight camera should be compact enough to position. Lengthy power lead — you need enough cable to reach the car charger point, without distracting you from driving. So, does the Vantrue N2 Pro offer all of these features? Shipping in a small 4-inch squared box, the N2 Pro from Vantrue comes with a data cable (Mini USB), car charging cable, and a windscreen mount. Both the camera and the mount have Mini USB connectors. There’s also a small connector on the mount for attaching the camera to, so it can transfer power. Also in the box, you’ll find reading material (a standard manual and a quick-start guide) and a warranty. Sadly, the Vantrue N2 Pro ships without a microSD card. You’ll need at least 16 GB, but media higher than 64 GB is not supported. The car charger cable is particularly well designed. Rather than leave the port filled by the charger, this cable has a hidden USB port. So, if you need to charge or power your phone while using the dashcam, you can! Heralded as the world’s first dual full HD dashcam on the market, the N2 PRO offers road-facing and driver-facing cameras at 1920 x 1080p resolution. The road ahead is captured at an impressive 170 degrees (using a OV4689 sensor), while the interior of your car is simultaneously recorded at 140 degrees (with a Sony IMX323 sensor). This is enough to record all most of the occupants (the passenger behind the driver remains obscured, obviously) — useful if you have in-car security concerns. By default, the cameras record at 30 fps, but you can tweak the settings for different possibilities. For instance, you can set the road-facing cam to 2560 x 1440p at 30fps, or leave it at 1920 x 1080p but increase the frames per second rate to 60fps, enabling clear capturing of license plates. Cameras are capable of time lapse recording, and video is saved to the microSD card in a loop. This is 3 minutes per clip by default, but can be set to 1 minute, 5 minutes, or disabled. Note that Vantrue recommend reformatting the card every two weeks. This prolongs the microSD card’s lifespan, ensuring reliable footage. The cameras also have night vision capability, with an F2.0 6-glass lens with 4 IR LED lights facing the vehicle occupants, and an F1.8 6-glass lens observing road. HDR video is employed to visually balance night time recordings. There’s also a microphone, which can be disabled if necessary. It’s hardly studio quality, but does the job. You can view the nighttime sample on the review video for a good idea of quality. With a working temperature range of 32 to 158 degrees Fahrenheit (that’s 0-70 degrees Celsius), the camera will shut down if the temperature exceeds this range. Storage of the N2 PRO dashcam is safe between 14 and 176 degrees Fahrenheit (10 – 80 degrees Celsius), but if you car interior is likely to get this hot on a regular basis, we’d recommend taking the dashcam indoors when not in use. Suitable for cars, fans, trucks, motorhomes and other enclosed vehicle types, the N2 PRO is relatively simple to install. Start by finding the best position for the dashcam, while it is connected to the mount. You can then attach the mount to your windscreen. Once the dashcam is mounted on the windscreen, it requires constant power from the car charger (or a portable smartphone charger, perhaps). The best solution here is to run the cable behind the fascias and trim. For instance, I pushed the cable behind a panel beneath my dashboard, and tucked it into the soft trim, running it up around the windscreen, then down the center of the glass to the dashcam mount. This is the best way: you don’t want the cable in the way while you’re driving. As with any dashcam, this needs to be done safely. A bunch of adhesive cable clips should help here — they’re available in low-cost bags of 10 or 20 from Amazon. Once the camera is installed, you’ll find some adjustment is possible. The mount has a 100-degree hinge, enabling you to accurately aim the camera. The cabin-facing rear camera can also be tilted up and down in order to capture the best interior footage. These are a power button, a left/backwards and a right/forwards, the M menu button, the OK button and a dual-purpose Event/Parking button. Navigation of this UI is simple, enabling you to edit such features as language, date and time, etc. A GPS mount is also available for the N2 Pro as an optional upgrade, enabling data such as your location and speed to be recorded and saved to videos as captions. When you’re driving, the 1.5-inch TFT LCD display will automatically switch off after the first minute. After all, you have enough distractions! This feature can be toggled in the System Setup screen. A standard drive might be completely event, free, but in the event of an incident occurring, tapping the Event/Parking button will ensure the current clips are permanently saved, rather than overwritten when the disk is full. Usefully, the adjustable G-Sensor setting (see below) will automatically archive incidents that involve impact or rigorous maneuvering. These videos will be found in the Events directory on the dashcam. As well as recording journeys in daytime and at night, the Vantrue N2 Pro will also capture footage of activity around your car when parked. This Parking Mode isn’t enabled by default, but can be activated in the setup menu. It can also be toggled using the Event/Parking button. Motion sensitivity for Parking Mode can be adjusted using the G-Sensor setting in the Record Setup menu: options are High, Medium, Low and Off. Once running, Parking Mode uses motion sensors to detect activity in front of and behind the car. This in turn switches the camera on to start recording. Persons committing criminal damage towards your car will be recorded, as will violent incidents that occur nearby. Shockwaves from blasts will typically initialize recording in parking mode too, as will attempts to open the car. Other vehicles hitting yours will also initialize recording. The downside of parking mode is that when active, the camera requires a permanent power supply. If you don’t have the ignition primed, the camera cannot stay on long-term, due to the limits of the built-in 250mAh 3.7 V Li-ion battery. As such, you’ll need to pay for the special hard-wiring kit to connect the N2 Pro to the car battery. Whichever option you choose, remember that if you’re using the default options — with front and back cameras — then two videos will be recorded. Everything you do, everywhere you go, will be recorded twice, one video filming the road, the other the inside of your vehicle. As expected from HD video, the quality of the recordings is pleasingly impressive. With a super HD option and night vision also available, you’re not going to have any problems identifying any important incident details should an accident occur. As well as the standard and night video modes, Vantrue’s dashcam offers a couple of extra photographic options. These might well prove useful in a number of situations. First of all, there’s the simple photo. The N2 Pro will snap a static shot when the Event/Parking button is given a sharp press. The resulting 16 MP photos will be saved to the appropriate directory. Accompanying this standard photographic mode is a time-lapse mode. This can be enabled in the Time Lapse menu in the Record Setup screen, and has an option of 1 second, 5 second, or 10 second delays between captures. Note that the time-lapse option must be enabled manually each time the dashcam is powered on. Unless you specifically want to record a long journey in a short video file, there’s few situations where time-lapse makes sense, which is why it needs to be manually activated each time. If an accident does happen, it likely won’t be recorded and the video won’t be admissible as evidence. Does the Vantrue N2 Pro Meet Dashcam Requirements? Earlier, we looked at the seven things you should demand from a dashcam. How does the N2 PRO measure up? Other than the lack of a packaged microSD card, the Vantrue N2 Pro meets the minimum requirements for a dashcam. Indeed, the onboard hardware and camera quality means that it surpasses those requirements. Does This Dashcam Make Your Driving Safer, or Better? Let’s be realistic: fitting a camera in your car isn’t going to magically turn you into a better driver. But it might make you a safer driver. With any sort of dashcam attached to your car, you’re instinctively going to take that extra bit of care. After all, an accident might occur at any moment. Ultimately, dashcams record events while driving between two points. They sometimes keep an eye on what’s going on around a vehicle when parked. These roles are appreciated by insurance companies, which is why dashcam usage is encouraged. If the outlay can be balanced by the saving you’ll make on your car insurance policy, it makes sense to buy a dashcam. Should You Buy the Vantrue N2 Pro? 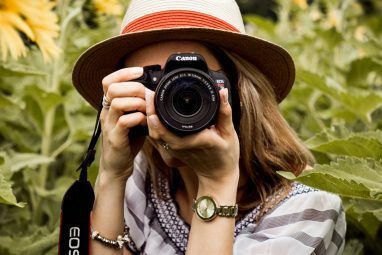 Explore more about: Digital Camera, Insurance, MakeUseOf Giveaway. Is it possible for this device to automatically go into parking mode when its parked, or do I have to always remember to put it into parking mode? Isn't this a bit primitive? I concur with the features of this little Dash Cam being on par with the more expensive models. The only issue I had with it was the small suction cup mount is both inadequate for the unit to hold it in place and doesn't secure easily to the windshield. It needs a lever/bar suction cup like GPS units have. I had to Jerry Rig it with the EZ Pass Velcro mounting strips to get it to hold to the window. Aside from this 'one' glitch, I find the unit totally satisfactory. It HAS a lever bar, which is also part of the USB connection. It turns 90 degrees. In fact, once I release the 90 degree lever it is still physically hard to remove. I have to pull firmly on the release tab on the suction cup to remove it. my sisters car got vandalized this week and I'm looking for a dash cam to gift her. I've heard very good things about this cam. but just want to known what type of battery does it have, is it capacitor? Thank you SO much for the thorough review! Awesome Pro Dashcam Vantrue N2, would love to own this for my car, great review! I have to admit I really didn't know that there were devices out there made specifically for this purpose (I honestly thought people use old smartphones for this). You guys have sold me on the idea of having a dashcam. My supervisor at work owns a BMW and he's about to leave in December. I think this would be a perfect gadget to gift him. This looks like a really good dashcam, hopefully I'll be able to win it instead of having to buy one. I still prefer to have my dash cam WiFi enabled and am happy with next base. I'm curious about the picture quality. All the photos published here seem washed out. Does it look that way on the original playback? I tried using an old GoPro Hero 3 as a dashcam and it worked surprisingly well, but the storage filled up too fast for how often I was driving. Something like this Vantrue seems more appropriate for long term.